2. 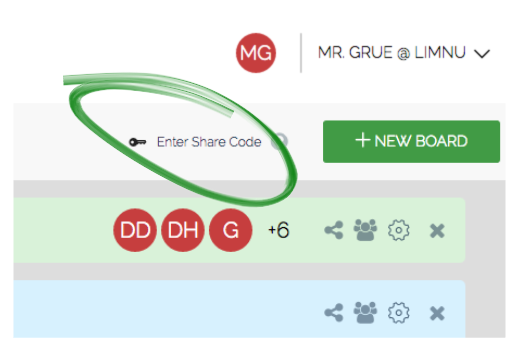 You'll see the new Share Code (click Code, next to Link). 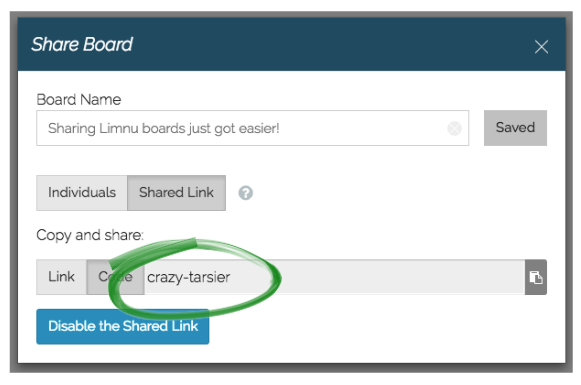 As you can seem the share code we have for this board is crazy-tarsier. Want to see how well it works? You can go ahead and use that code and join our public board! 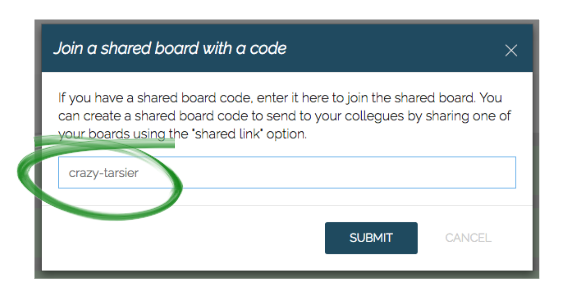 That short, easy-to-remember phrase is all your colleagues need to join your board! ...next, they type in that phrase! That's it! They are in and all you crazy tarsiers get to work together. Share ideas, explain concepts, brainstorm your next billion dollar idea. To protect your work from prying eyes, these phrases only work with Shared Link boards. If you've locked down your board by making it Private, anyone who wants to join your board will still need a board invitation from you. 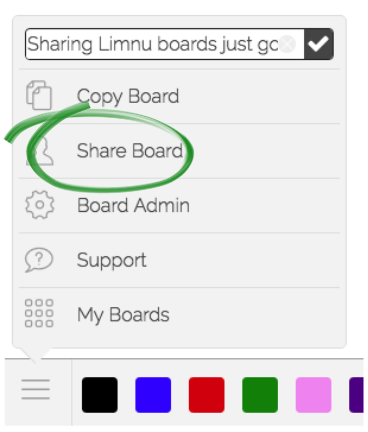 Now, get out there and share your boards with the world! Want to know what a tarsier is? Join our board to check it out or watch the (NSFW: language) video True Facts About the Tarsier. Why you will always lose a staring contest with a tarsier. How it disguises itself in the forest by disguising itself as a small teddybear. Why the tarsier hasn't invented anything.